This simplistically detailed porcelain tub was made by The Trenton Potteries Company in the late 1800’s to early 1900’s. 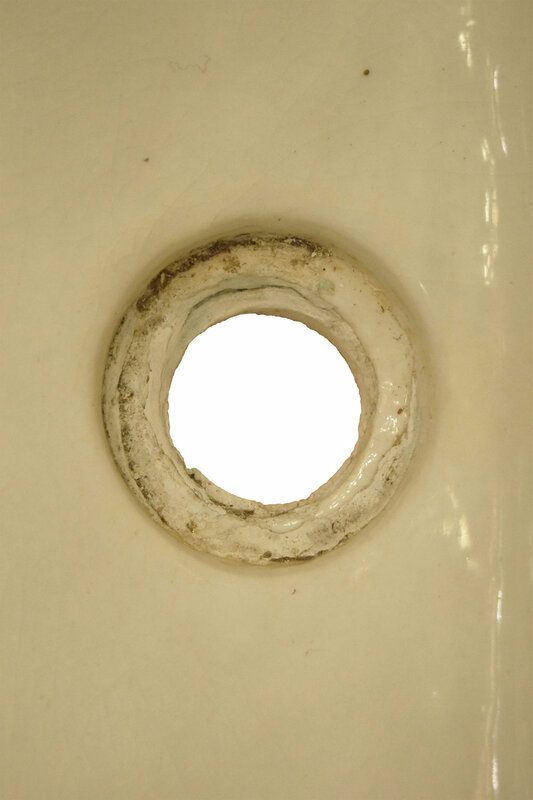 This bath has a glazed pure white inside and an over roll-rim. The drain is at the bottom of the tub near the square end. This isn’t just a typical white bath tub; if you look closely, there is crazing throughout the whole tub as well as the legs. Crazing is a phenomenon that produces a network of very delicate and fine cracks on the surface of a material. 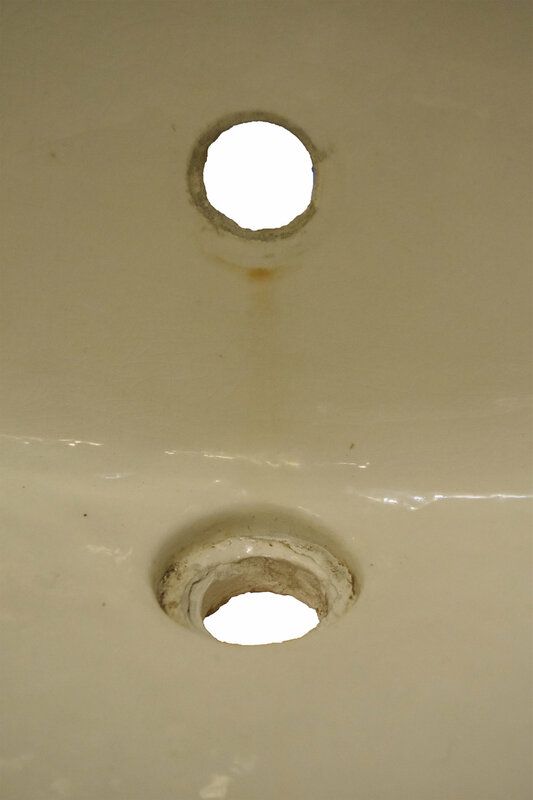 In this instance it is within the glaze layer that is painted over the porcelain, and then put into a kiln. This is a desired effect sought out by many people because it gives an extra touch of antique flavor. Freight shipping within the continental United States. International shipping also available. Please contact us for a quote. Architectural Antiques will consider reasonable offers. Be sure to include the Product ID (AA#47988) when making your offer.